We were delighted to welcome Shane Stephens, Irish Consul General to our new US office based in Jacksonville, Florida. Shane is responsible for promoting Ireland as a place to do business across the south-east of the United States as well as assisting Irish companies who are interested in expanding their operations in the US. 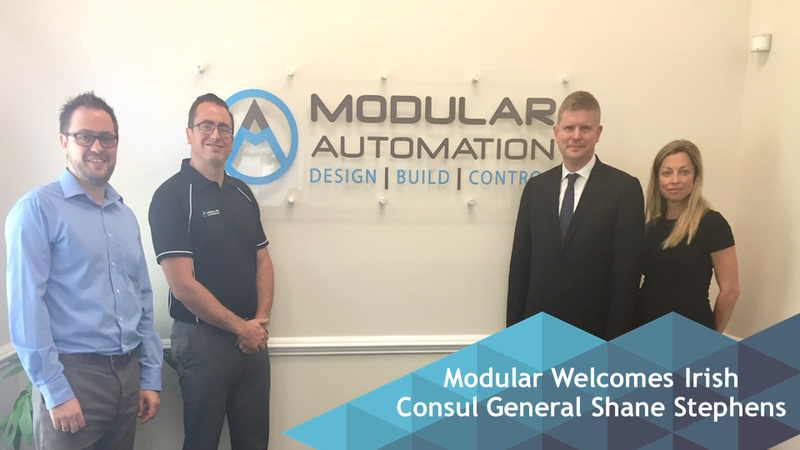 As we expand our reach into the US, Shane offered us the assistance and connections we need to become a leading automation solutions provider within the US market. We would like to thank Shane for visiting and the support he offered as we continue to grow our US operations. We look forward to continuing this key relationship into the future.